Successful products are both easy to use and meet people’s needs. But how can your team know if your product is useful and usable? The surest way is also the most direct: Ask your users, early and often. When you talk with users and watch them use your product or prototype, your team can build the right features the first time. When you meet your customer’s needs, you can reduce rework and customer support costs. Everybody wins. User testing describes a variety of research techniques in which you collect and analyze user feedback to evaluate a product or product idea. You can gather information by observing people as they use your product or a prototype; asking users about their needs and frustrations; or collecting usage data such as website analytics. Some people dislike the term user testing because it’s easily misunderstood. It’s not about testing your users’ knowledge or performance. It’s about testing whether your product works for them. User testing is a general term that can refer to a variety of research activities, including usability testing. Usability testing is a specific research technique in which you observe people use a product, or a prototype of it, to find how you can improve it. Product research to evaluate an idea for a product you want to create. You ask potential users questions to understand if your idea would solve a problem or be useful to them. This type of user research is often conducted through interviews, surveys, and focus groups. By talking with potential users about their challenges, needs, and routines related to your idea, you can gauge if it’s worth pursuing. Usability testing to evaluate if people can use your product to complete important tasks. Usability tests can be run at almost any stage of a product’s lifecycle, from a paper prototype of your idea to existing features of a robust product. You can even test another company’s product to gain competitive insights. Using tools like InVision to create prototypes gives the users an authentic, tangible experience—and results in better feedback. During the test, give your user a series of tasks and observe how easy or difficult it is to complete each one. Ask follow-up questions to get additional feedback on their experience. A/B testing, also known as split testing, to compare two versions of a feature, such as a purchase button. Check out our article describing how Netflix does A/B testing. Multivariate testing, a technique that compares variations of several features. Impression or preference testing, to ask users for their first impression of a product. Surveys to ask users or potential users questions that shed light on your product idea or design. Analytics, such as website analytics, to understand how people use your product. You can start by analyzing how people enter and leave your site, as well as what leads them to abandon or complete important actions, such as registering or making a purchase. Card sorting to understand how to best organize information for your users. To run a card sort, give people a set of cards that have topics that cover different kinds of content. Ask them to sort the cards into groupings. In a closed sort, you can specify what the groups should be. In an open sort, the users can make up the group names themselves. Copy testing to evaluate the language or wording in your product. User testing your copy helps you identify if your word choices help users complete tasks, understand a concept, or make a purchase. You craft every detail of your product and are passionate about its usefulness. Because you know your product well, it’s obvious to you why and how someone should use it. However, the people using your product have a different perspective. They could have a different cultural, technology, or economic background from you. They may use your product in a different kind of environment than you expected, and have different expectations for how it will work. The most devilish usability issues are those that haven’t even occurred to you as potential problems; you won’t find all the usability issues just by looking at your design. In other words, you can guess what users would do, but the best way to know if your product is useful and usable is to talk with users and watch them use it. 1. Resolve disagreements about the product’s design. Teams can base their discussion on observations of real users, rather than individual opinions or hunches. 2. Focus on meeting user needs. Experts recommend running smaller, more frequent tests and inviting the entire team to participate in the testing. Jared Spool’s team at UIE has found a direct correlation between the time each team member spends with real users—at least two hours every six weeks—and the quality of design work. It’s the closest thing we’ve found to a silver bullet when it comes to reliably improving the designs teams produce. 3. Save time in the long run by fixing problems early. Testing helps you reduce rework and avoid spending time on features users won’t find helpful. You’ve not only avoided the frustration and delays that comes with rework, but gained time for new work. 4. Affect your product’s success. A well-designed product that meets user needs can positively affect important metrics like retention rates, customer engagement, and sales figures. When you skip research and testing, problems in your product can hamper growth and increase costs for customer support. To make the case for user research and testing at your organization, think about what’s most important to your business, and be sure to make data collection on those indicators part of your testing practices. This way, you can objectively show testing’s positive impact. To find people to participate in your tests, think about the places your users frequent, whether that’s a physical location or a digital space. You can recruit people through social media posts, flyers, your website, a recruitment company, and even Craigslist. If your product already exists, work with the customer support team, sales team, and subject matter experts to identify potential users. Offering an incentive, such as a gift card or cash, helps boost participation. Make sure the people you recruit are realistic users of the product or feature you want to test. For example, if you’re testing an Android app, confirm they use an Android device in a version you support. Getting the right users is only half the battle. User research is just as much about the way the research is conducted as it is about the product being researched. Design your test to minimize cognitive bias, which can influence the feedback you receive and how you interpret it. Questions like “Would you use this?” won’t be helpful. Instead, ask open-ended questions about people’s habits, thought processes, physical environment, and other attributes related to your product idea. Above all, remember that user testing doesn’t have to be time-consuming or expensive. Some teams have the budget for robust tests with state-of-the-art equipment. But even teams with no budget can gain valuable insights just by spending a few minutes watching people use a basic prototype. Certainly, do not skip usability testing altogether....Repairing the damage done by a bad first version could be much more expensive than doing usability testing in the first place. Putting your product in the hands of users early prevents costly late-in-the game design changes—but what’s the most efficient way to go about this important step? 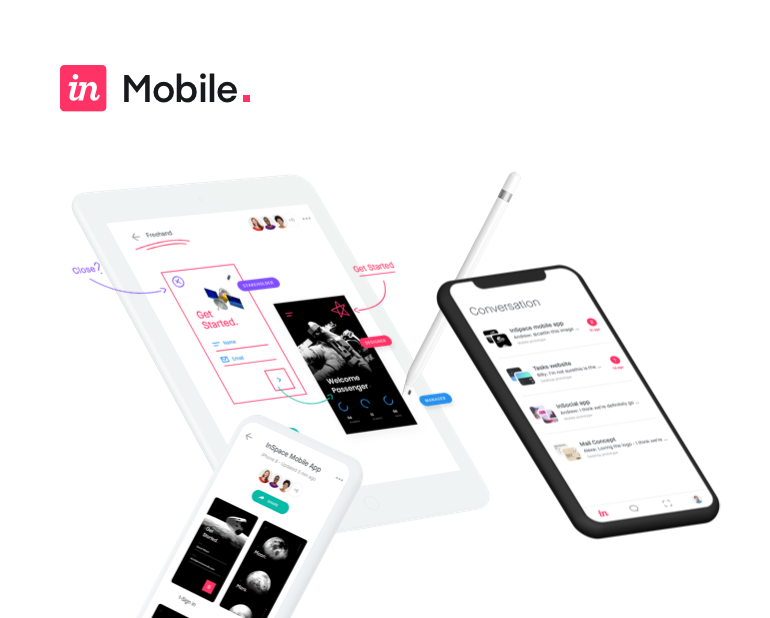 With InVision, it’s easy for your team to share prototypes with people (both in and outside of your organization) in order to quickly gather meaningful feedback for effective iterations. From early low-fidelity freehands to high-fidelity Studio screens, the user feedback is there, empowering your team to fine tune, fix, and avoid shipping a problematic product.